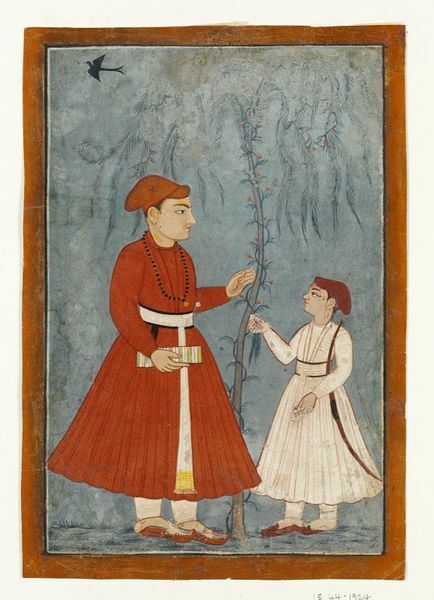 Painting, in opaque watercolour on paper, a prince conversing with a boy, beneath a sapling. 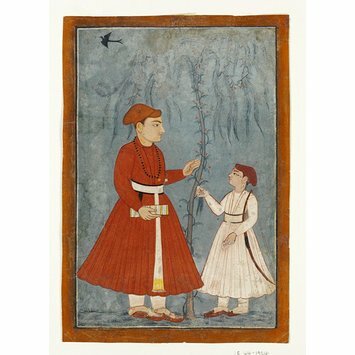 The prince wears red robes and cap, with a white belt with gold details on the end. From the Sir William Rothenstein collection (residuary).